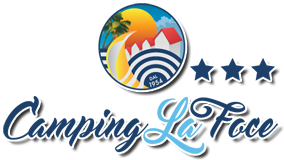 This website www.campinglafoce.com, (hereinafter the "Website") is owned by the Camping La Foce, having its registered office in Via della Foce 57034 Campo nell'Elba (LI) (Italy), VAT No. and Fiscal Code No. 01351240492, (hereinafter, "Camping La Foce", "We or Us" or the "Company"). Pursuant to Article 7 of the Legislative Decree 30 June 2003, No. 196, you have the right to obtain confirmation of the existence or not of personal data pertaining to you and to know its content and source, verify the correctness of the same or require the integration, the update or the rectification of the same (Article 7 of Legislative Decree No. 196/2003). You have also the right to require the cancellation, anonymisation or the block of data processed in breach of the law, as well as to oppose in any event, for legitimate reasons, to their processing. In the end, you have the right to obtain a list of the external data controllers appointed by the Company. In order to exercise your rights, or to obtain any other information or clarification in relation to this policy, please contact the Company by means of registered letter with return receipt (to the following address Via della Foce / 57034 Campo nell'Elba - Italy) or by e-mail (to the following address info@campinglafoce.com).